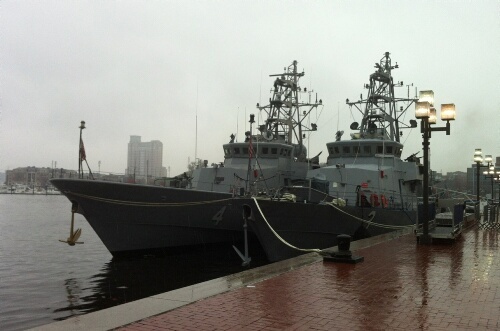 Next year marks the 200th anniversary of the War of 1812, and the Navy is helping the state of Maryland kick off its multi-year commemoration with a two-ship visit to Baltimore’s beautiful Inner Harbor. The war with Great Britain that gave us the Star-Spangled Banner and “Don’t give up the ship!” was declared on June 18, 1812, and lasted another 2 1/2 years. The Navy, Marine Corps and Coast Guard will be marking the bicentennial through 2015 with week-long events, parades of sail, public visits and numerous other community relations activities in Baltimore, New Orleans, New York, Norfolk, Boston, and the Great Lakes ports of Milwaukee, Chicago, Toledo, Cleveland, Detroit and Buffalo, according to Naval Surface Force Atlantic. The kickoff ceremony will be held Thursday at 11:30 a.m. in Baltimore’s Bicentennial Plaza.